The government has said the challenges facing the sector are temporary. As Ghanaians sit on the fence not knowing when they will enjoy electricity, the National Democratic Congress is shaking tables. The biggest opposition party in a statement Monday is pushing the government to accept that they have run the energy sector down. Evidence of this, the NDC wants the government, through its agencies, to publish a load shedding timetable. A similar timetable was used under the erstwhile NDC government - when the energy sector crashed into generation challenges - to determine who gets electrical power, when and where. The then opposition New Patriotic Party (NPP) trumpeted the incompetence of the NDC in managing the sector and now that similar challenges have emerged, the NDC is determined not to make the NPP forget. 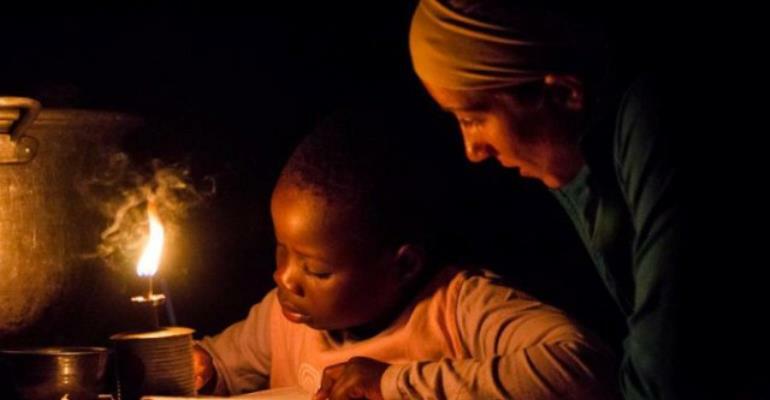 “While at it, government must immediately publish a load shedding timetable to allow Ghanaians to plan their lives and ameliorate,” the statement added. The NDC in its statement also insists that the current challenges facing the sector which have led to prolonged power cuts in the capital, Accra and other big cities, are a result of financial challenges. The government has previously denied this. Power cuts in Accra began more than a month ago with some communities experiencing blackouts throughout the night, causing residents to sleep outside to beat the heat. On March 13, MPs were forced out of the House after a power cut and the failure of the UPS system that supports the sound systems in the chamber. Despite assurances from the Minister that it was a week’s problem, the situation has persisted. The past weekend, scores of residents in the capital and other big cities experienced prolonged and persistent power cuts. Callers into Joy FM’s Super Morning Show Monday, expressed anger over the situation, many of them demanding a time table to enable them plan their schedules. The Executive Director of policy think-tank, African Centre for Energy Policy, Ben Boakye also said on the show that the problem facing the sector is a financial one. He said the government is struggling to find money to fuel the plants to generate enough power.